Whether for your business or for personal usage, virtual private networks come in handy for many reasons. Thanks to this advancement in technology, we are able to get around the internet at a more controlled manner. Originally, virtual private networks were created to allow workers coming from remote areas to securely connect with other networks so as to access the necessary resources while they are away from their actual offices. Today, however, the purpose of VPNs has expanded; it is not just limited to corporate industries but also for people who personally want to protect their online activities. Generally, without the use of VPNs, connecting to the internet means you first connect to your own internet service provider. In turn, your ISP will connect you to the websites you desire to go to. And because your internet connection is controlled by your internet service provider since you pass through their servers, ISPs have the ability to view your online activities. However, when you make use of virtual private networks, you connect to servers ran by the VPN providers instead of your ISP provider’s servers. This is made possible through encrypted connections which means that all data passing between your computer and the VPN server will be encrypted. Thus, only the VPN server has access to your activities. When connected to a VPN server, you appear to access the internet from whichever server you have chosen. Hence, if you chose to connect to a country; it will appear as if you are connecting the internet from that certain country. Your original IP address will be hidden by your VPN. Websites will not be able to view your original IP address. Instead, they will only see the address of the server you connected to. Using a VPN server will conceal your online activities. This basically means that your internet service provider will not be able to access your information with regards to your internet usage. It will have no record of the websites you visited since all these data are encrypted. 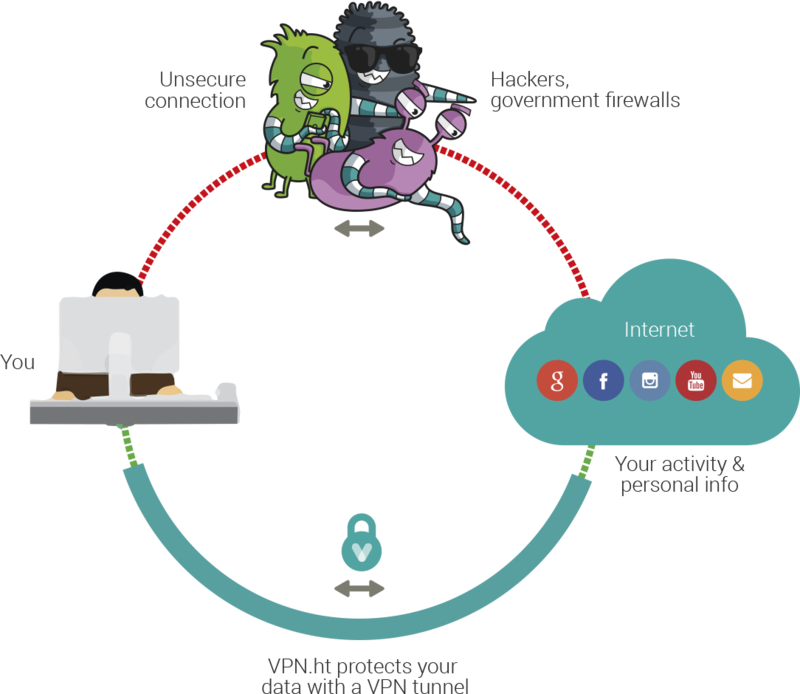 Logically, your VPN provider will, however, have access as to whatever you are doing online. Fortunately, VPN providers, who know well the goal and purpose of VPNs try their best to mitigate their monitoring measures. You may experience slower internet connections. This is mainly because decrypting and encrypting of data. The stronger the encryption, the slower the internet will be. If you connect to VPN servers which are nearer geographically, you will deal with lesser impact when it comes to slowing down the internet speed. However, when you do connect to a VPN server that is way too far from where you are originally located, then you should expect a heavier blow in your internet speed. VPN services are generally legal in countries which promote right to privacy. Thus, we have Indonesian VPN providers, American VPN services, and many more. However, there are certain countries which prohibit the use of these servers. Certain countries like Russia, China, Iran, among others, regulate or ban VPN services.